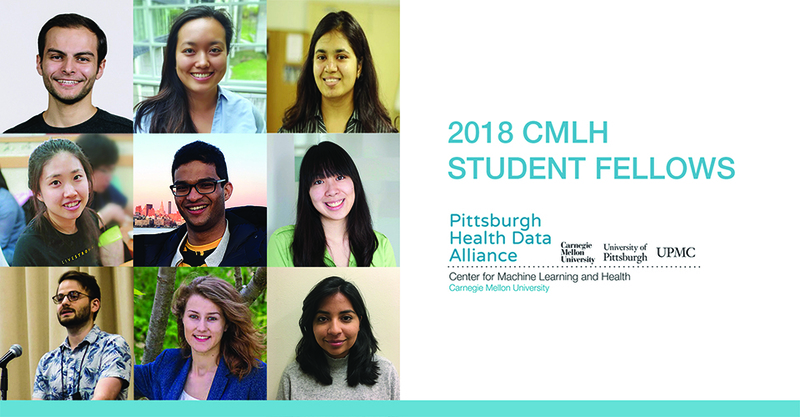 Pictured left to right, beginning with the top row: Maruan Al-Shedivat (Machine Learning Department), Ada Zhang (Robotics Institute), Shruti Palaskar (Language Technologies Institute), Seojin Bang (Computational Biology Department), Tejas Mathai (Robotics Institute), Fannie Liu (Human-Computer Interaction Institute), Nick Rhinehart (Robotics Institute), Otilia Stretcu (Machine Learning Department) and Fernanda Murillo (Biomedical Engineering). Maruan Al-Shedivat is a Ph.D. student in the Machine Learning Department. 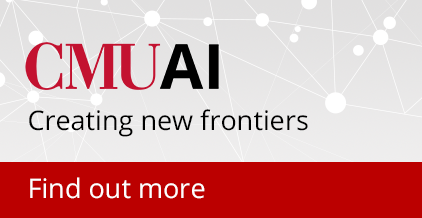 His research focuses on learning from sequential, structured and limited data; (meta-)learning in multitask settings; and interpretable machine learning. He holds a bachelor's degree in physics from Lomonosov Moscow State University and a master's degree in computer science from KAUST, Saudi Arabia. His work on meta-learning for continuous adaptation won one of the best paper awards at the International Conference on Representation Learning (ICLR) 2018. Ada Zhang is a Ph.D. student in the Robotics Institute, working with professors Fernando De la Torre and Jessica Hodgins. She earned her B.S. in bioengineering and a B.A. in music from the University of Washington. Her current research focuses on developing personalized and weakly supervised learning algorithms for continuous monitoring of Parkinson’s disease symptoms. More broadly, her areas of interest lie at the intersection of healthcare and engineering. Shruti Palaskar is a first-year Ph.D. student in the Language Technologies Institute. Her research interests include audio-visual speech recognition, summarization and information-extraction focusing on building robust end-to-end speech recognition systems using multimodal data-like visual features and topics from instructional videos or context-driven doctor-patient dialog. She received her master's degree in language technologies from the LTI. She participated in the annual JHU Summer Workshops (JSALT 2017 and 2018) and worked on audio-visual speech recognition and summarization. Seojin Bang is a Ph.D. student in the Computational Biology Department. Her research focuses on understanding human disease based on integrative data analysis (multiview data analysis) using machine learning and deep learning approaches. She is interested in improving clinical decision-making by combining different types of data such as text and image, as well as quantitative data collected from high-throughput platforms, and compressing human knowledge in an ensemble into the model. Tejas Sudharshan Mathai is a Ph.D. candidate in the Robotics Institute. His research interests include learning patterns in clinically obtained medical images, image-guided surgery and surgical robotics. Specifically, he works toward developing and deploying algorithms in a clinical/surgical setting that can segment tissue interfaces in medical images and reconstruct them for visualization. He obtained a master’s degree in biomedical engineering at Carnegie Mellon, and holds a bachelor’s degree in electronics and communication engineering from Anna University in India. He has spent three productive summers completing research internships at SRI International, Siemens Healthcare and NVIDIA corporation. Fannie Liu is a Ph.D. student in the Human-Computer Interaction Institute. Her interests lie in designing and building technological interventions that foster understanding and connection between people. Her research focuses on using physiological responses as a new social cue to convey our subjective experiences to one another. Fannie received her bachelor’s degree in digital media design and a master’s degree in computer graphics and game technology at the University of Pennsylvania. Before attending CMU, Fannie was a software engineer at LinkedIn. This past summer, she was a research intern at Snap Inc.
Nick Rhinehart is a Ph.D. candidate in the Robotics Institute. His research focuses on understanding, forecasting and controlling the behavior of intelligent agents through computer vision and machine learning. While working on his Ph.D., he has performed researched at UC Berkeley, N.E.C. Labs America and the Uber Advanced Technology Group. His research on first-person activity forecasting received the Marr Prize (Best Paper) Honorable Mention Award at ICCV 2017. He received a B.S. in engineering and a B.A. in computer science from Swarthmore College. Otilia Stretcu is a fourth year Ph.D. student in the Machine Learning Department, co-advised by Tom Mitchell and Barnabàs Pòczos. Her research focuses on developing novel machine learning methods applied in neuroscience, with the goal of understanding how the brain processes language and controls speech. Otilia is also interested in creating AI agents that can understand language and reason about it. Before joining CMU, she graduated with an M.Phil. in advanced computer science from the University of Cambridge and a B.Eng. in computer science from Politehnica University of Timisoara, Romania. Fernanda Murillo graduated from Adelphi University with a bachelor of science in physics and is pursuing her Ph.D. in biomedical engineering. She is currently working with Yang Cai on visualizing and modeling blood cancer time series. Her research interests include data visualization and augmented reality for medical imaging.